Detox tea is currently a trend around the world, I've been seeing everyone posting pictures with their favorite brand of tea, sharing their teatox journey and of course the significant results! I am so glad to be given a chance to join the teatox journey, so here's my sharing and lets see if the magic works on me too! 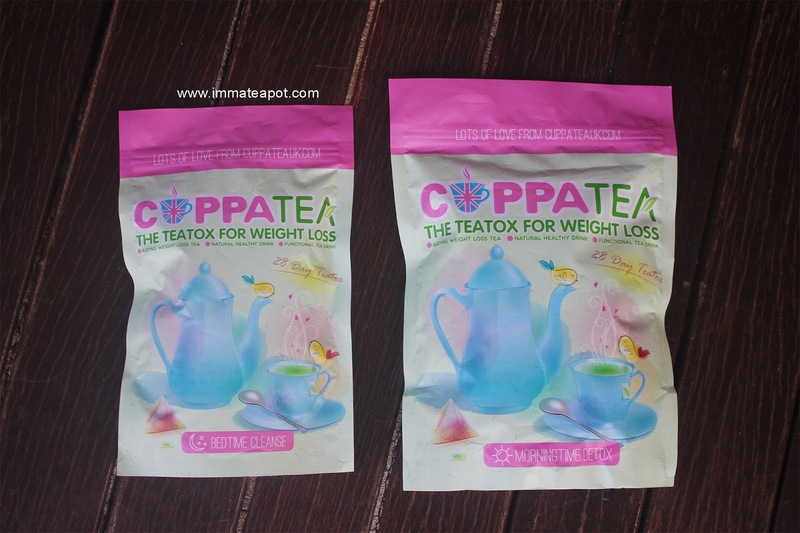 This is my first approach of the teatox exploration with CUPPATEA, a UK based company that claims to promote healthy living and natural beauty. 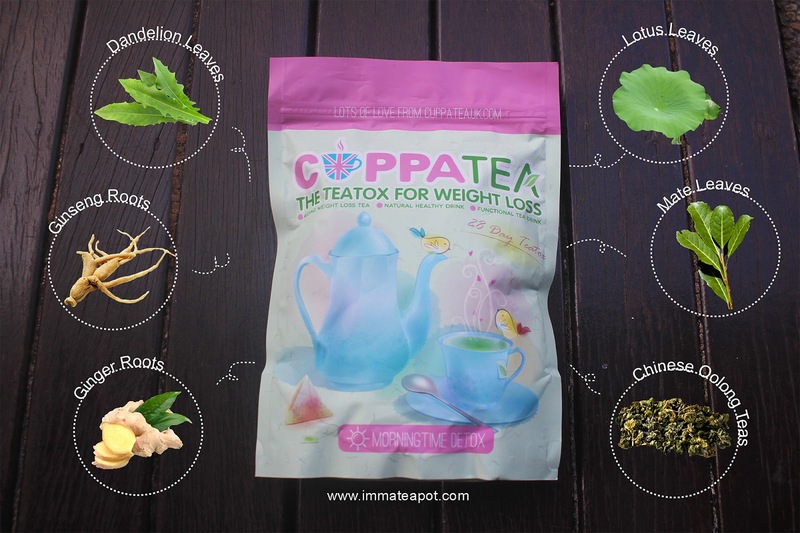 Need not any diet plan or starvation, CUPPATEA aids in weight loss and maximize your body detoxification with only 100% natural ingredients. 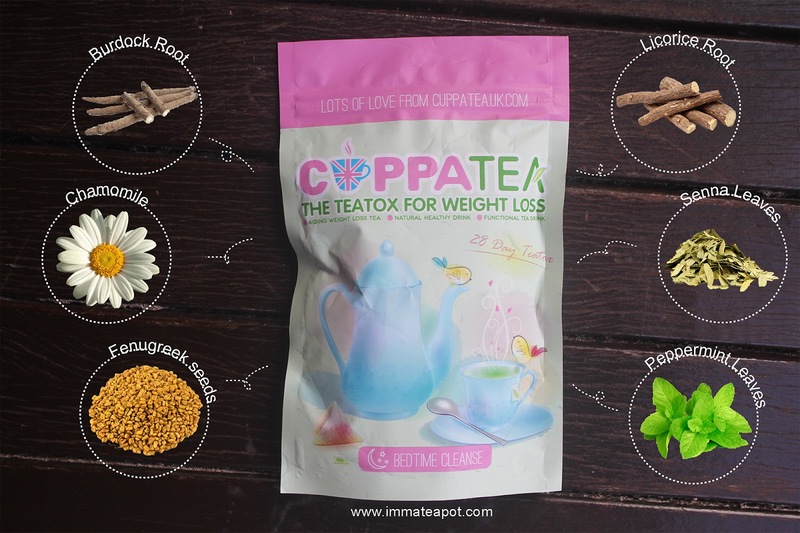 Besides, all the ingredients in CUPPATEA is free from bacteria-free, chemical and preservatives. For the 28 Days Teatox journey, there are both supply of Morning Time Detox Teabags and Bedtime Cleanse Teabags. There are 28 days supply of Morning Time Detox teabags, with each every morning. The main ingredients are Mate Leaves, Chinese Oolong Tea, Ginger Root, Lotus Leaves, Lemongrass, Ginseng Roots, Dandelion Leaves, Gotu Kola Leaves and Nettle Leaves. *Do note that the Morning Time Detox teabags do consist of slight caffeine portion. There are 14 days supply of Bed Time Cleanse teabags, with one tea bag for every alternate night. The main ingredients are Senna Leaves, Burdock Roots, Liquorice Root, Hawthorn Leaves, Fenugreek seeds, Peppermint Leaves, Chamomile and Psyllium seeds. The Bed Time Cleanse consist of laxative portion in adequate amount that good enough to cleanse and detox our body naturally, in approximately 8 hours after consuming. 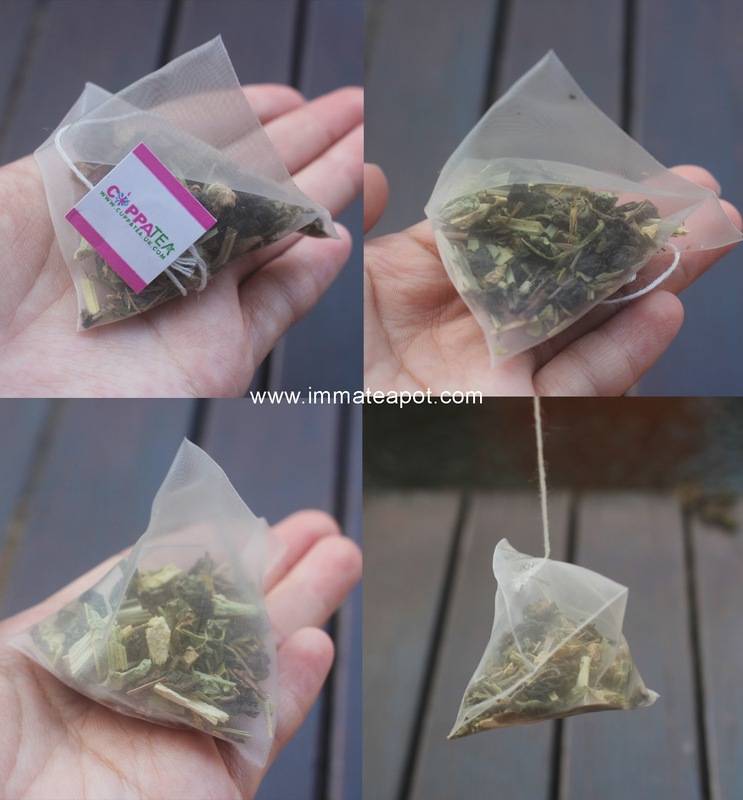 Unlike the usual teabag, these teabags are in pyramid shape, with silk kind of see through outer layer. So how these teas benefit us? For the Morning Time Detox, the tea tastes much light and alike with green tea or chinese tea, kinda tasteless. 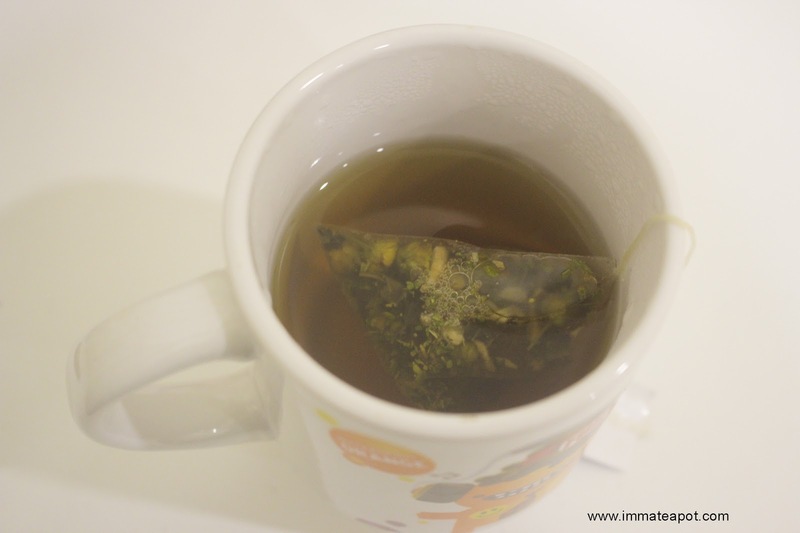 For the Bed Time Cleanse, the tea tastes much refreshing, with heavy aroma of chamomile and peppermint.But overall, it tastes just fresh and soothing. So here's the picture of 'Before and After' my teatox journey, I guess I look much better now haha. The result is obvious that my tummy is much flattened and even less meaty at the side.It's more curvy now yay! In my case, I've suffered from slight diarrhea on the third day of my teatox journey, yet everything went smooth after that. No more constipation and of course less bloating! I believe that the working of both exercise and teatox will be perfect to achieve the ideal weight loss. A great deal for my readers, using the code of amelie15off to get 15% off for any purchase!